Nicola's chair has of course come from the mid-twentieth century; the inspiration for which was found in an original piece in a house in the north of England. Well used and well loved, Nicola's chair, sat by the fire and was drawn up close in winter months for warmth. 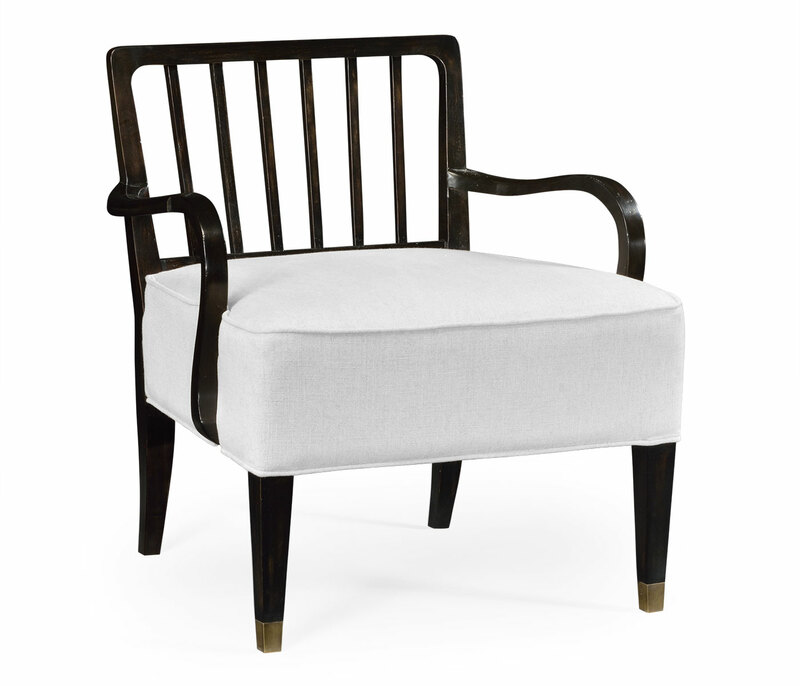 Fabric seated and slatted backed with loose cushion, this chair has all the hall marks of good mid century English furniture. COM: 2.20 yard (Fabric with no pattern).